Put an exclamation mark on your weekend. DJ Clave keeps the beat and brings you a mix of the classic Latin stuff with the funkiest EDM. Salsa, Merengue, Electro-Cumbia, Breaks, Hip Hop, and Nu Latin Beats on the speakers. A Piñata to break, drink specials, photo booth, and Latin food for purchase complete the party. 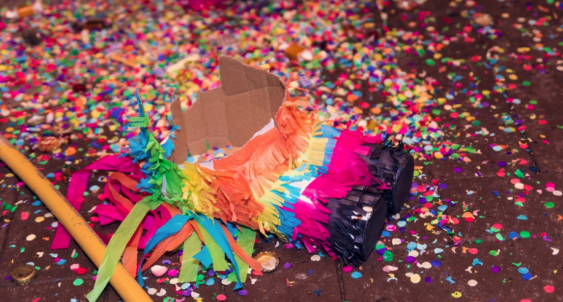 Break the Piñata and scoop up the rhythms every 4th Thursday.